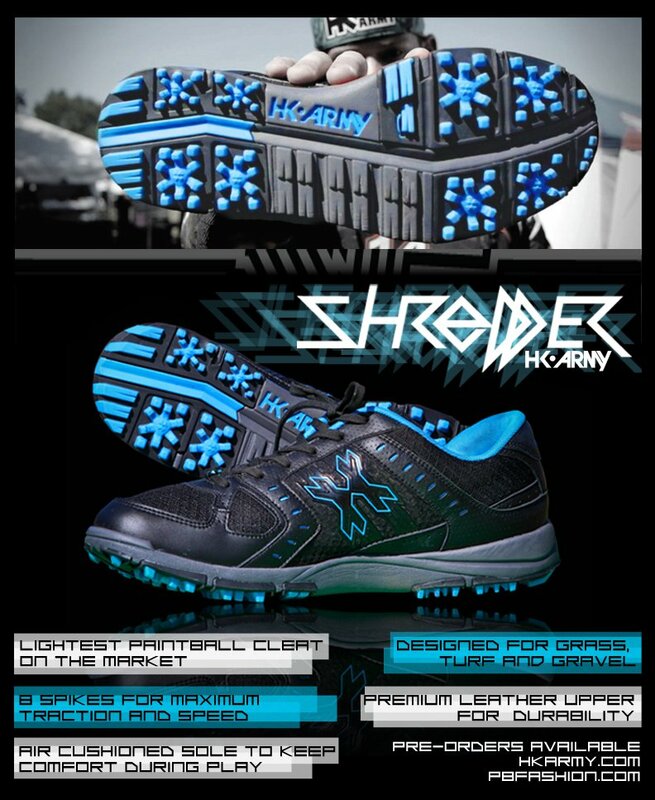 Pre Order your HK ARMY SHREDDERS NOW!!!!! Every Pre order will include a limited edition HK SHREDDER T-SHIRT!!!! HHH! Well boys the time has finally come… We have created a cleat that has actually been designed for paintball use. We felt that we need to upgrade the whole deal in the shoe game for the paintball industry. After hearing non stops complaints about SORE FEET, PRESSURE POINTS, MISSING SPIKES AND SHOES FALLING APART…. we decided to create what we feel is the perfect paintball cleat…. THE SHREDDER!!!!! HHH! The Shredder is the first paintball cleat designed for comfort, reliability, style and function. This cleat was developed to give maximum traction while playing on astroturf, grass, mud and dirt. There are 8 integrated traction points on the cleat…You will never have to worry about losing a spike again! * 8 Integrated High Density Spikes – Made to Last!